« When Will Iran’s Regime Finally Cave In? WASHINGTON — US President Donald Trump officially designated the Iran Revolutionary Guards Corps a terrorist organization on Monday, in a move that Israel has long pushed for and that will ramp up the administration’s pressure campaign against Tehran. It is the first time that an extension of a foreign government has been designated as a terrorist entity. 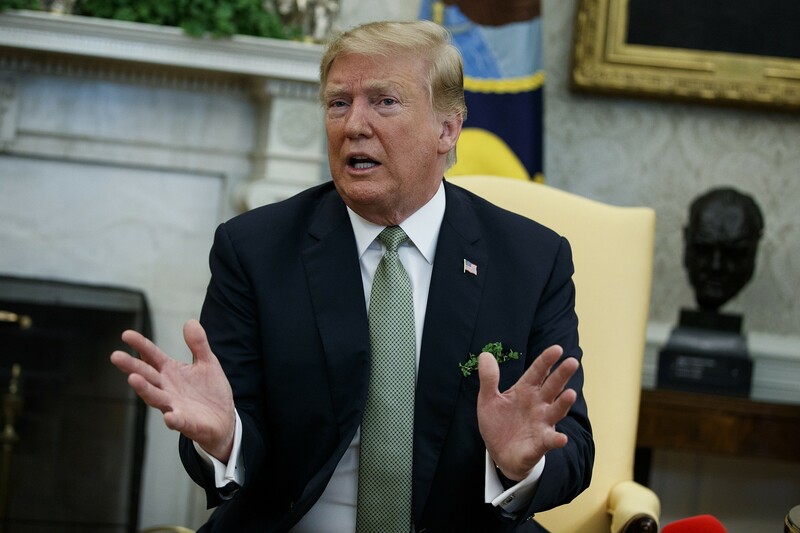 The Trump administration’s decision is expected to ramp up tensions between the United States and Iran, whose leaders have warned that, if the US were to make such a designation, they would respond by labeling the US military a terrorist group. The move comes less than 24 hours before Israelis head to the polls in a nail-biting contest between Prime Minister Benjamin Netanyahu, a close ally of Trump, and Benny Gantz, who leads the centrist Blue and White party. The Guards’ prized foreign operations unit is the Quds Force, named for the Arabic word for Jerusalem, which supports forces allied with Iran around the region, such as Syrian President Bashar Assad’s regime and Lebanon’s Hezbollah terror group. The Trump administration has already imposed sweeping sanctions on Iran after withdrawing last year from the Iran nuclear agreement, under which Tehran scaled back its nuclear program in exchange for sanctions relief. This entry was posted on April 8, 2019 at 6:20 PM and is filed under Uncategorized. You can subscribe via RSS 2.0 feed to this post's comments. You can skip to the end and leave a response. Pinging is currently not allowed. Saudi Arabia will be very happy with this , all info falls now in place . The stage is set for a peace plan , i,am wondering what will come more . Are we witnessing that the ranks are closing ?